Take the wheel of your dream car or bike and make a name for yourself in the third installment of the famous racing game Asphalt, now in full 3D. 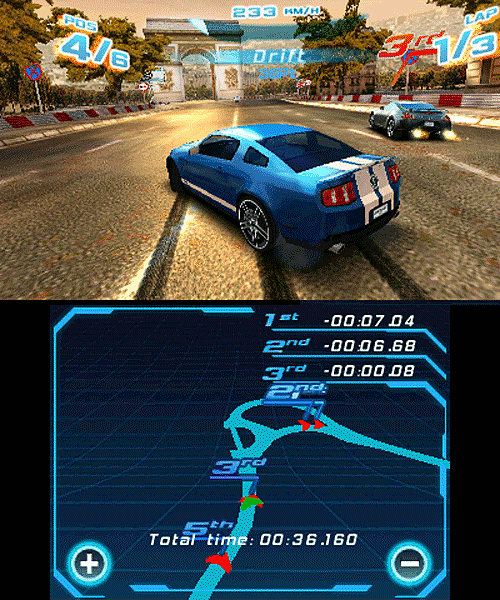 Plunge into the heart of the world of underground racing where respect and money are won through drifts and pileups. 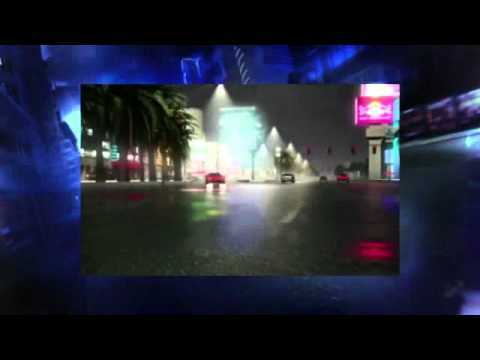 Force your opponents off the road and avoid the police roadblocks to attract TV helicopters filming your exploits live. 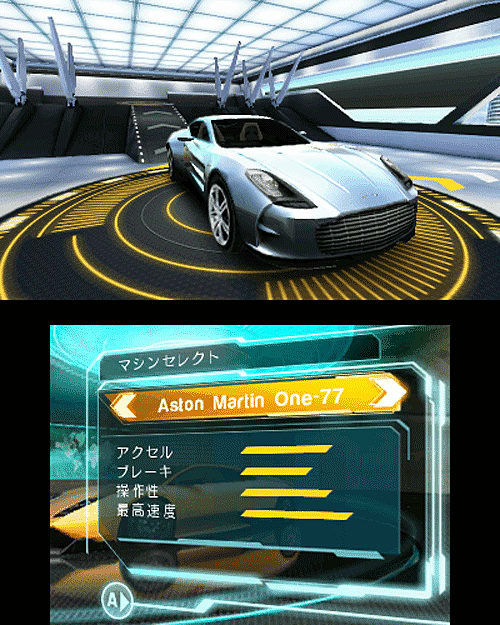 Rich, stereoscopic 3D graphics for the races and even the menus. 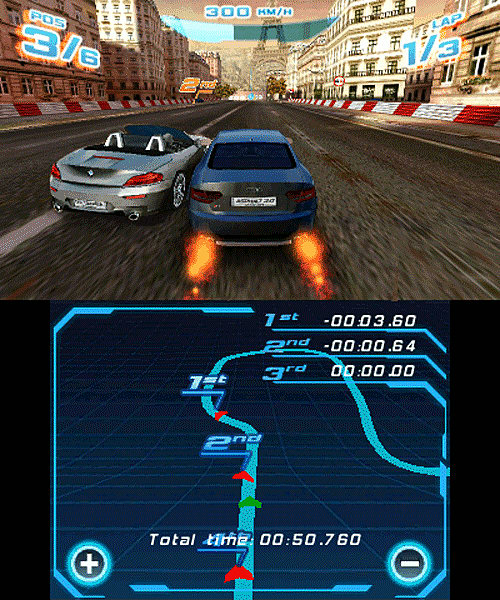 Gameplay designed to take full advantage of the 3D screen as you weave between cars drift inches from the curb and navigate menus that come right out of the screen. 42 licensed vehicles (cars and bikes) from prestigious manufacturers such as Ferrari, Lamborghini, Audi and Ducati. 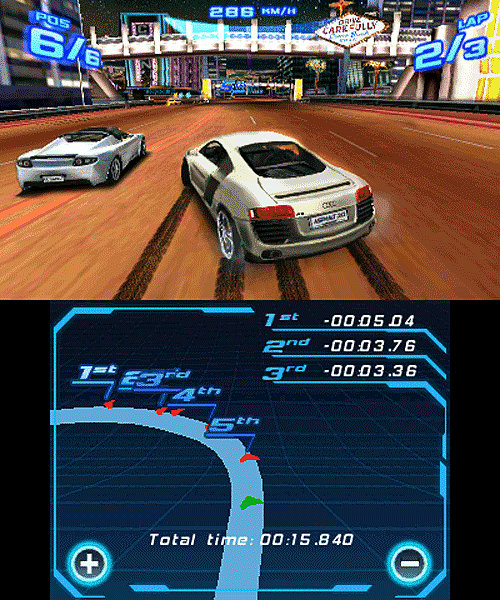 Race in 17 of the world’s most iconic cities like Paris, Tokyo and Las Vegas with varied track surfaces, shortcuts and spectacular jumps. Up to 6 players can challenge each other locally in wireless mode. Complete StreetPass features including Viral Ranking and Viral Ghost! Share your results and send your ghost to other players to unlock exclusive game items or get extra bonus to spend in the garage. Comprehensive tuning options to achieve peak performance for your vehicle. More modes for more fun! 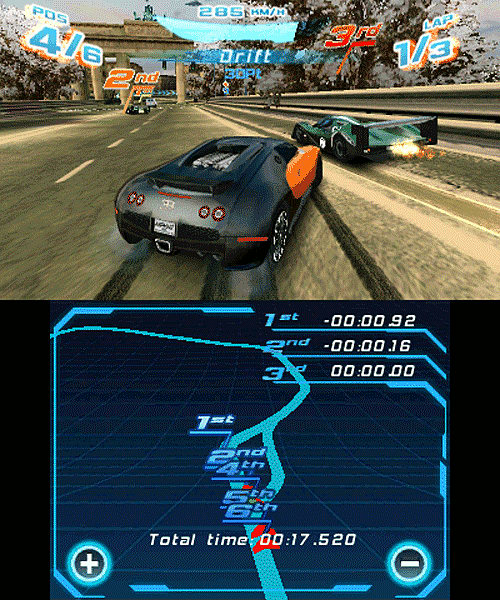 Varied high-speed challenges beyond a Normal Race: “cash attack”, “vigilante”, “high speed chase”, “drift”, “time trial”, “duel”, “leader of the pack” for more replay value.